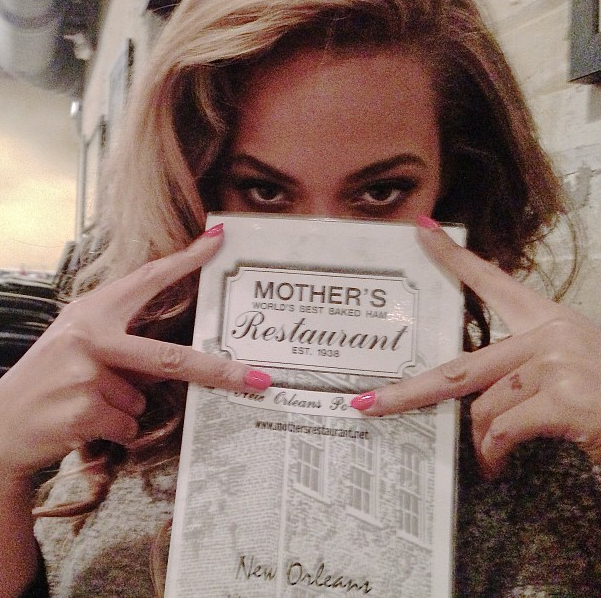 Beyonce’s been to Mother’s. Have you? Beyonce is in town for the Super Bowl, per various media reports. She hit up Mother’s Restaurant this week and “grammed” her experience. Beyonce posted this photo Monday on her Instagram feed (@baddiebey). 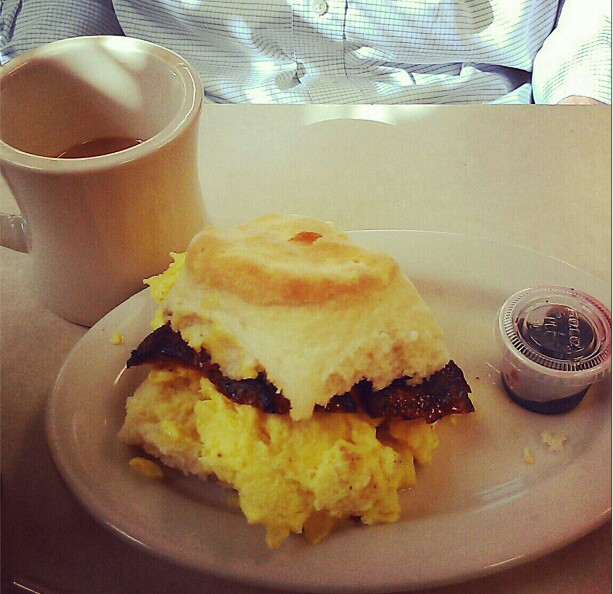 Mother’s (website) is downtown at 401 Poydras St. and is known for its baked ham and homestyle food. It also has grits and debris, which was described to us as grits covered with the tasty bits leftover from roasting meat. We ate there during one of our first apartment-hunting visits and enjoyed the coffee and gigantic biscuits. Commenters on NOLA.com urged Beyonce and husband Jay-Z to look beyond Mother’s, the New Orleans soul food joint that opened in 1938 and trumpets “the world’s best baked ham” on its menu. Reader recommendations included the adventurous haute cuisine at Stella, the updated regional fare at Donald Link’s Cochon, and such grande dame New Orleans restaurants as Commander’s Palace. Also making the list were a bevy of more modestly priced local restaurants, including Acme Oyster House, Lil Dizzy’s, andWillie Mae’s Scotch House. Celebrities (and other folks) seeking good grub might want to start with the 100 restaurants discussed in our staff-written dining guide. We also have a story about notable new restaurants near the Superdome. Follow the links. The dining guide is good stuff.